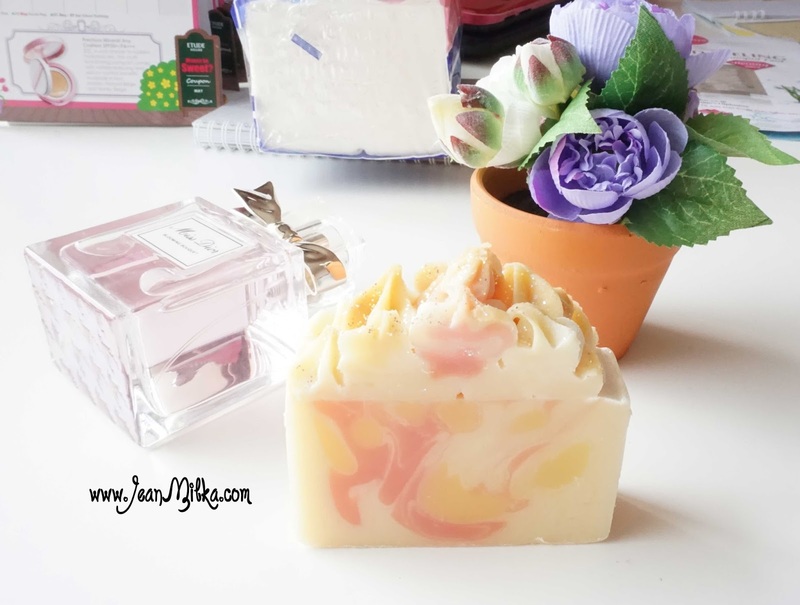 Today I want to give you my opinion about The Soap Corner which is a hand made soap from Moporie. 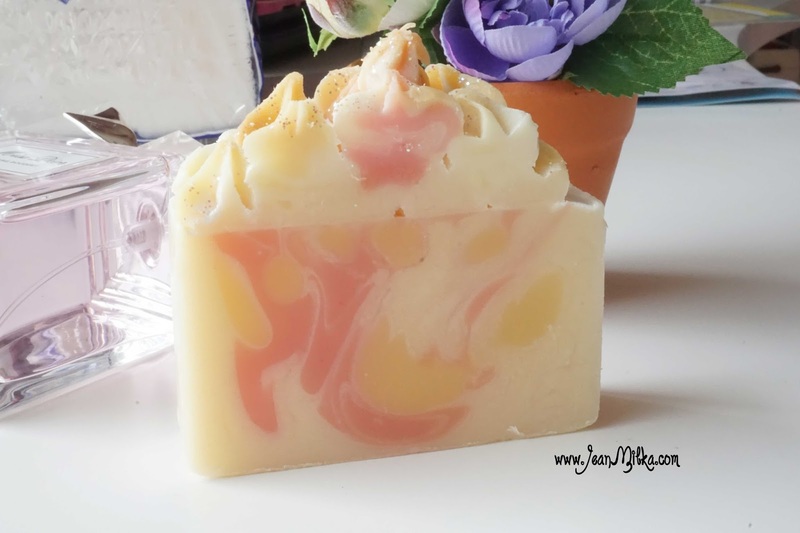 This is my first time try a handmade soap. 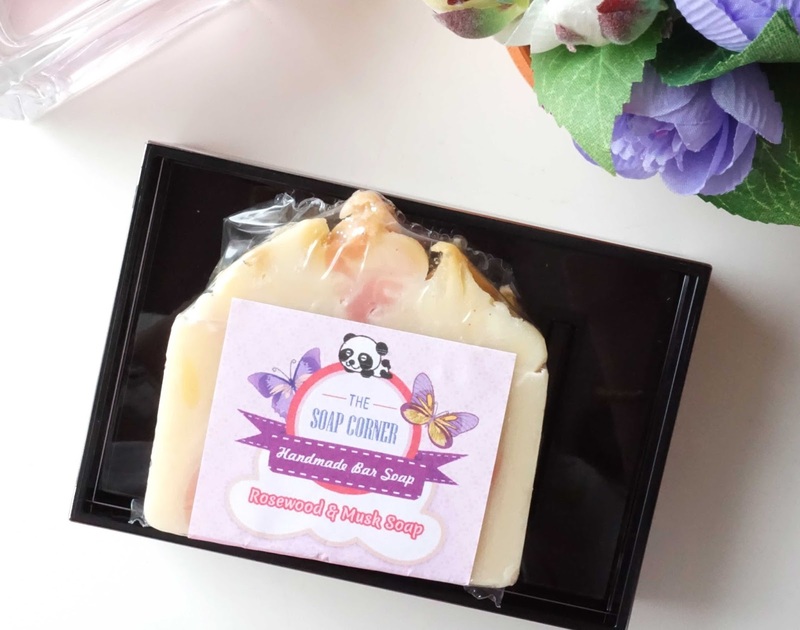 The Soap Corner is the first handmade soap I have ever heard and tried. For me, shower time is one of the best time that we need to enjoyed. I like to pampered myself at the end of the day with taking a shower. Last body product I reviewed is The Body Shop Vanilla Bliss Body Polish check out my review here. 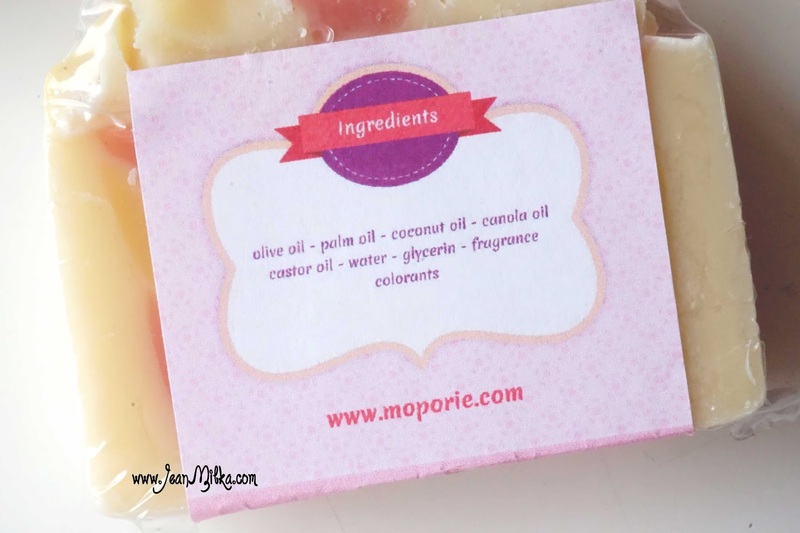 I have used it up, and so happy to received this handmade soap from Moporie. First soap I try from The Soap Corner is Rosewood and Musk soap bar. 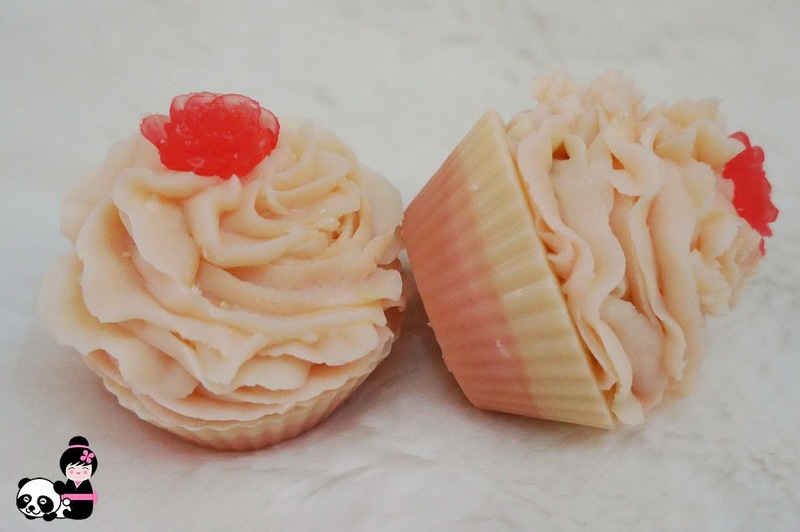 The Soap Corner is a handmade soap brand that produce by Moporie Shop (Moporie also sell US make up product). All of the bar sop comes in blister packaging. I like the design which is toned with mostly purple and there is butterfly and bear around the logo. You can find out the ingredients at the back. The Soap Corner made from olive oil, palm oil, coconut oil, canola oil, castor oil, water, glycerin, also synthetic fragrance and colorants. A lot of oil here. Soap actually made from oil and NaOH and at the end will produce soap and glycerin. 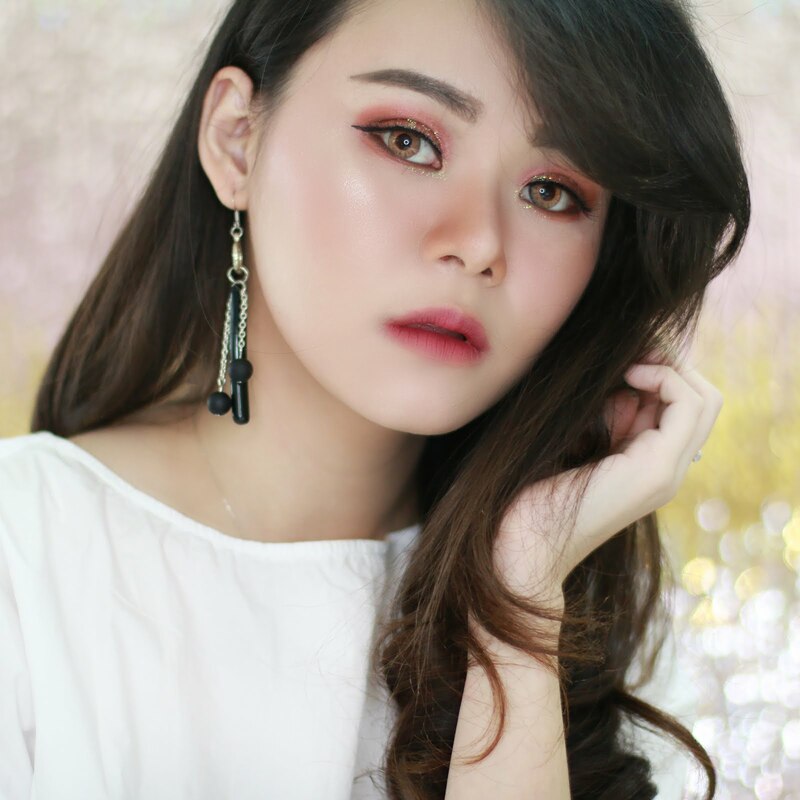 I won't try to explain about the chemical detail behind handmade soap process, but over all glycerin is one of important ingredients that help to moisturize your skin. 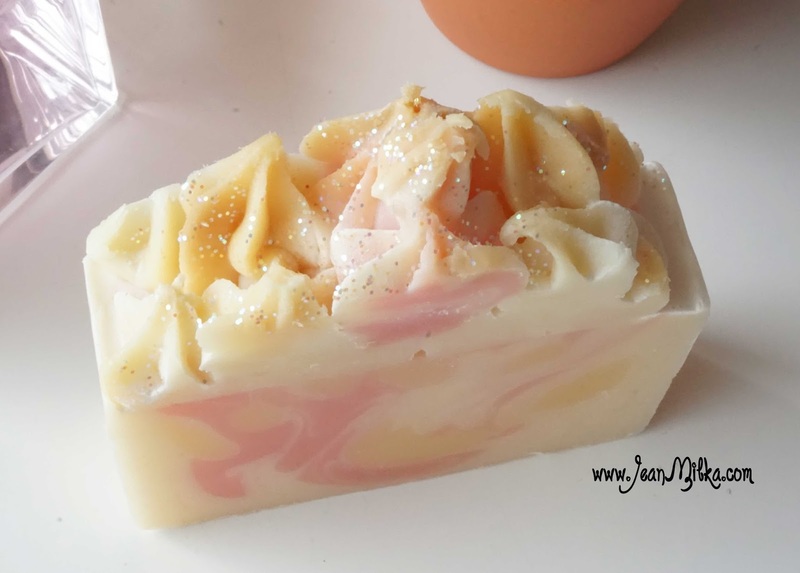 Handmade soap *from the soap corner* contains more glycerin compare to commercial soap. One thing you need to noted, most of commercial soap contains sodium lauryl sulfate (SLS). Basically from what I know, SLS might cause problem for sensitive skin. SLS is the reason why commercial soap produce a lot of foam. I not sure about the bad effect from SLS, but one thing for sure, when a soap is too foaming it will make my skin feel dry and shaggy. First of all, I am impressed with the shape of Rosewood and Musk soap bar. Look at how pretty it is.. It looks like a fruit cake with sparkling on top. On the blister packaging, I didn't smell any scents. Even after I open the packaging and used this soap, the only scent that stood up is oil scents. Most of The Soap Corner soap bar doesn't have intense scent, the owner told me that they try to reduce production cost that way. Actually I prefer strong scent, and The Soap Corner accept special request in case you want stronger scents (of course you will need to pay more). Not only that, Soap Corner also accept special request and you can have custom shop as gift for special occasion. You can check their collection at The Soap Corner. 1. Even tho it doesn't have strong scents, I still love the scent. But I don't like the fact that the scents only stay for 1 hours and it's gone. 3. I don't feel it's really moisturizing, but I am good to go without lotion if I used it. Every time I used commercial soap bar especially the one from groceries store, I can't leave without my lotion. That's why I prefer liquid soap. 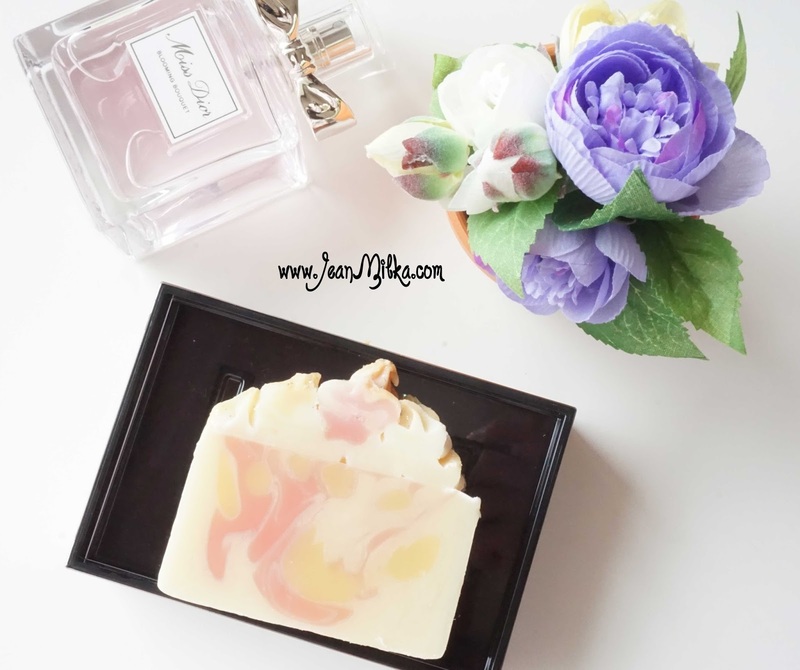 4 komentar on "Rosewood and Musk Handmade Soap by The Soap Corner, Moporie"